Not a frozen fly to be seen. Nice capture. 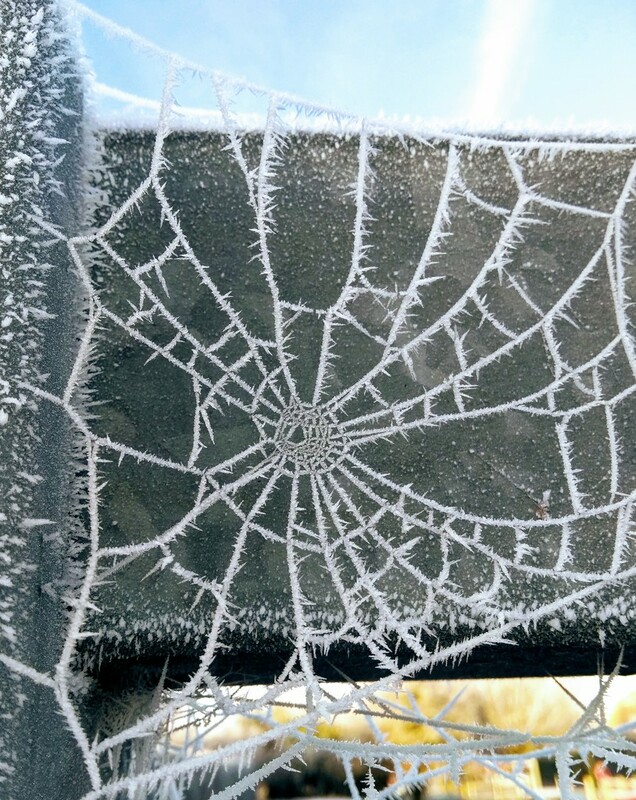 The frost picks out the detail in the web beautifully! Brilliant, chilly, capture. Nice one! Wow, I've never seen a frosted web! Great find. That's a pretty impressive find! I'm surprised that the web was still strong enough to support the weight of all that frost.